Reliable Contractors have been providing contingency labour supporting tier one contractors on major infrastructure projects for over 40 years. 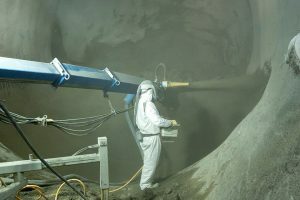 civils, rail and tunnelling industries. on site from the beginning to the very end of a project. continuous improvement in all operations. 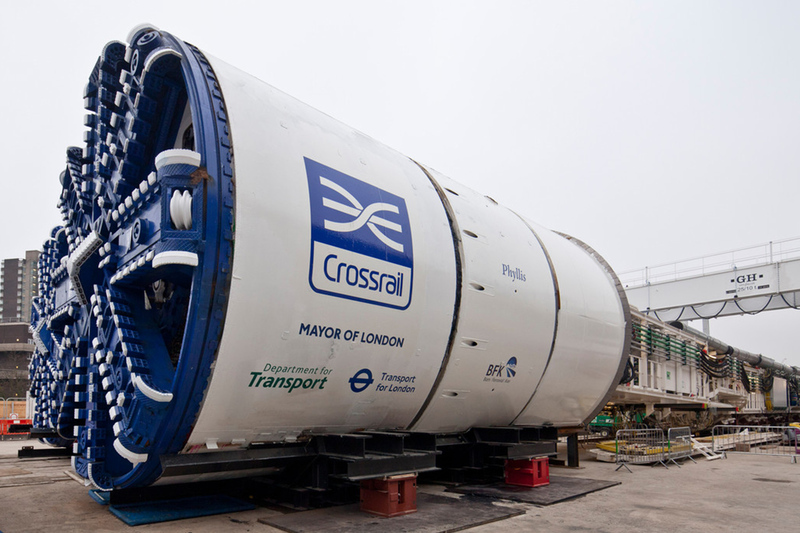 The western tunnel drive was the first of five twin bore tunnel drives required to construct the Crossrail tunnelled section. 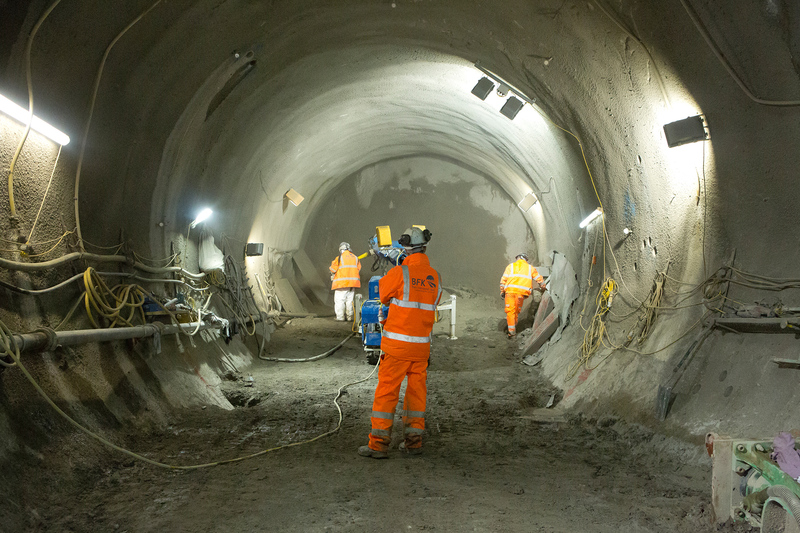 It is the point at which the existing Network Rail services on the western section of the route enter the tunnels under central London. More than 1 million tonnes of spoil were excavated during the tunnelling process and Reliable Contractors supplied personnel to undertake this and other specialist work on the project. 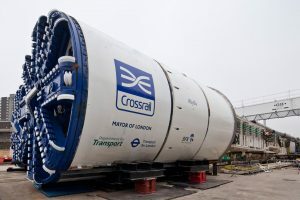 This included the construction of the Crossrail station tunnels and other underground passenger corridors and ventilation ducts at Bond Street, Tottenham Court Road, Dean Street, Davis & Fisher Street. The western tunnel work comprised of two 6.2m internal diameter bored tunnels, each 6.5km long between the Royal Oak portal, which is west of Paddington Station and the sprayed concrete lining station tunnels at Bond Street and Tottenham Court Road and the Fisher Street tunnel. 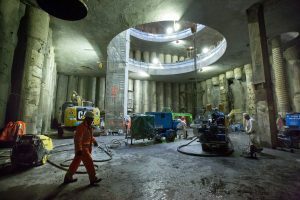 In addition to the running tunnels, the contract also included the construction of the station platform tunnels, concourses and associated cross passages and escalator tunnels all constructed in Sprayed Concrete Lining at Bond Street and Tottenham Court Road. 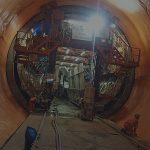 While, at Fisher Street, we also constructed an SCL running tunnel, rail cross over for trains and an access/ventilation shaft. 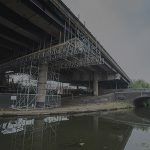 © Copyright 2019 Reliable Contractors Ltd. All right reserved.